This week's Snap on Sunday comes to us from 2007 if memory serves, in Devon's capital of Exeter. Not the highest quality of photography unfortunately, I was in my fledgling days as a photographer of the scene, but the rating of significance is luckily much higher than my skill level. The photos show three of the tri-axle Hong Kong spec Leyland Olympians, that unfortunately were only used on the X46 between Exeter and Paignton for a very short while. The trio certainly appear to have been well looked after with all of them not looking their age at all. The downfall of them surprisingly was the reliability of them while at work on the X46 which meant their life was short lived in mainstream service within the UK. The coach spec seating and good top speed would have been perfect for these though. Of course Megabus used these successfully for many years until 'proper' coaches were brought in, and up until very recently, the type was used on South West Trains rail replacement work, painted in a designated livery. I have no idea where they ended up after their spell in Exeter though, so if anyone knows more please do feel free to contribute on the comments section below. Would have loved a trip on one of these in Megabus days, I can only assume it was a great pleasure for the enthusiast, and even from a passengers perspective, they can't have expected too much for their money! I have a little treat to post today of this simply wonderful photo, sent in to me from Chris Thomas, with my never ending thanks going to him for doing so! The photo shows the rear of Torpoint depot, with these fine pair of Western National Bristol Ks (?) awaiting their fate at the end of their working lives. As you can see the destination blinds have been removed from HOD 4 and HOD 5, which were 877 and 878 respectively while at work with WNOC. 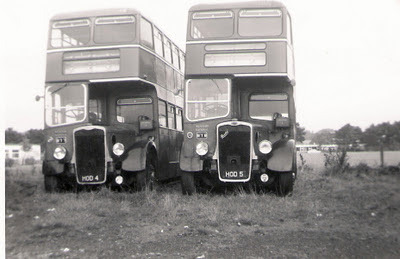 The photo is believed to have been taken around 1966 so the photo is naturally of huge importance seeing as so few photos of the bus scene were taken around this time. 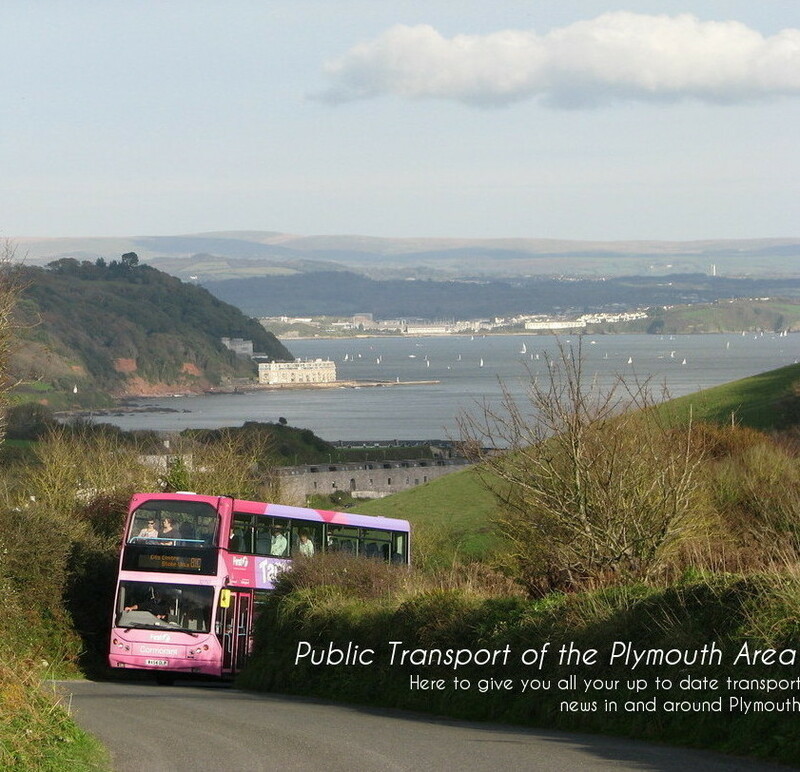 Of course Plymouth is well documented, but many outstations and such are less so, with Torpoint most certainly being photographed very rarely seeing as its just off the radar of many who would have taken photos in Plymouth. Really brilliant to see photos like this, and once again I am indebted to Chris for letting me share this with you. I have another gem from him to post in the coming days which I very much appreciate him for taking the time to discover within his collection. 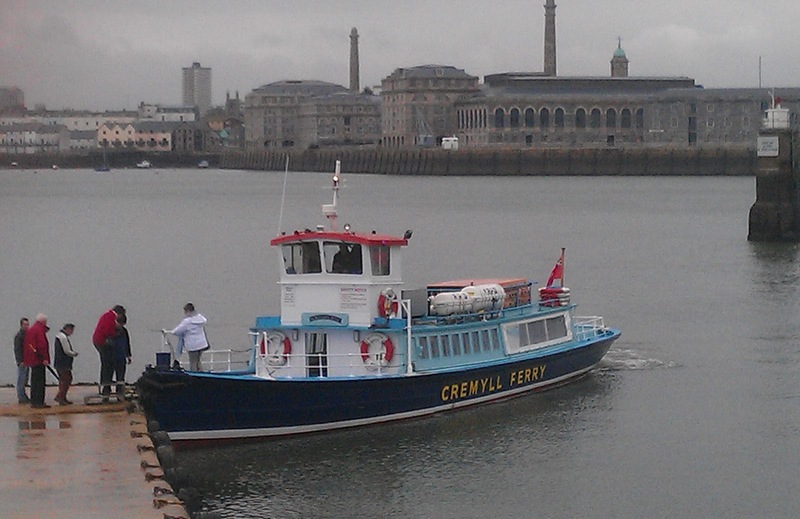 To the delight of all who travel upon the service, the Northern Belle has returned to service after this winter's refit. The Northern has been away in Mashford's (about 50 ft further down the river!) for just over two months, and has come out looking stunning, as she does every year. How true the phrase is, that you don't realise what you've got until its gone, and even at the grand old age of 84, there is most certainly no boat better for the job! You really notice the little things that make the boat so well suited to the job after her spell away each winter, so is always lovely to have her back. Add to this the unbeatable sound of a throbbing Gardner 6LXB to wake you up each morning, you couldn't ask for much more! I shall certainly try to treasure the trips this years, now that I enter my last year of regular commuting aboard the Northern! While we're still vaguely on the topic of the X80, I post here a photo from unbelievably; nearly 3 years ago. This is M420 CCV before her identity was been changed sitting in Bretonside having just returned from Torquay on the X80! M420 was always presented very well in her final years as this photo confirms. What a trip this would have been all the way to the 'English Riviera', I say in the eyes of an enthusiast, but I'd imagine anyone not blinded by this would have a very different opinion. After leaving FDC she was owned by Plymouth Argyle, although for what for we never really found out. 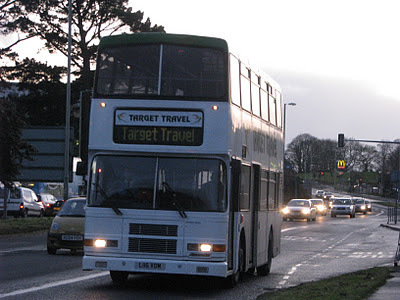 Of course Target Travel are currently the owners of her, and she can regularly be seen on a myriad of services across Plymouth. And then there was one... K803 ORL has today most likely transported her passengers (for part of the journey at least) for the final time today. K803 this morning reportedly blew her engine while operating an X80 towards Torquay. A sorry end for a wonderful bus. Ironic that what she started her career doing some 18 years ago is what she performs for the final time. Sad to think of all the thousands of trips she's successfully completed to Torquay, and then, just months before withdrawal she finally concedes defeat. At least she died doing what she knew best! I'm presuming of course that she will be considered beyond economic repair, and that indeed the damage is as bad as it sounds! There may be hope for her yet, but from the description, it certainly sounds like a substantial amount of work would be needed to return her to working order. This leaves the very first (registered) Volvo Olympian, K801 ORL, to continue on as the final Olympian of the batch to still be in service. As I've mentioned before, its always been an aim of mine to try and do an X80 on one of the the K-ORL registered Olympian before she is withdrawn, although with only K801 still operating, this is becoming increasingly unlikely. This of course will also mean that the K-LAE Leylands will have to pound on for a little while longer before some more buses can filter through the system to take over their reign. 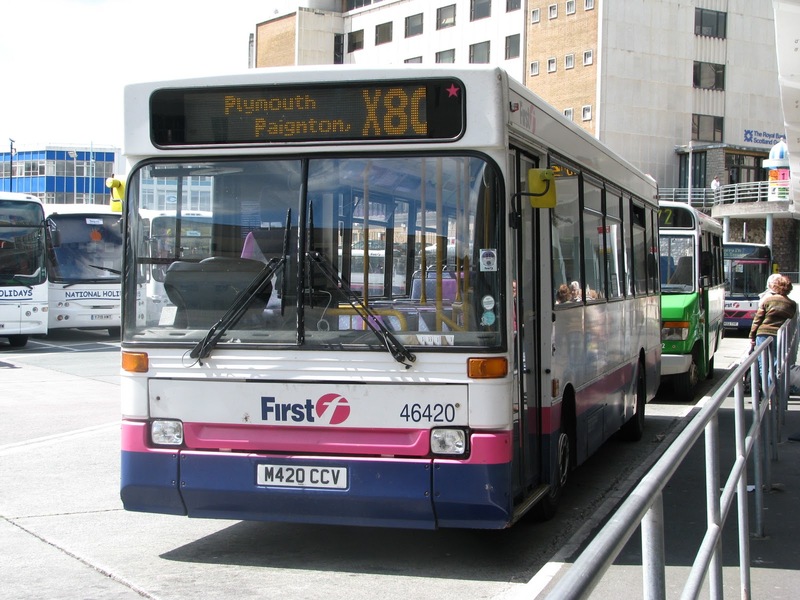 These have been consistently reliable during their time in service, so no doubt that they'll be able to keep Plymouth moving until some more buses are sourced. Their role along with many of the step entrances buses may become even more important if and when buses from the area are indeed needed to be sourced for Olympic work. Rumour suggests this may happen although of course there is a very large order of brand new buses that should cover a majority of the work. A number of Stagecoach's brand new Enviro 200s in Exeter have been in London recently on Olympic test work. Farewell K803. 3 down, 1 to go. Snap on Sunday: Park and Ride in style! Ok, so, its very easy to argue that this fine pair are far from the ideal vehicles for the job, but from a purely enthusiastic point of view, could it really get any better!? 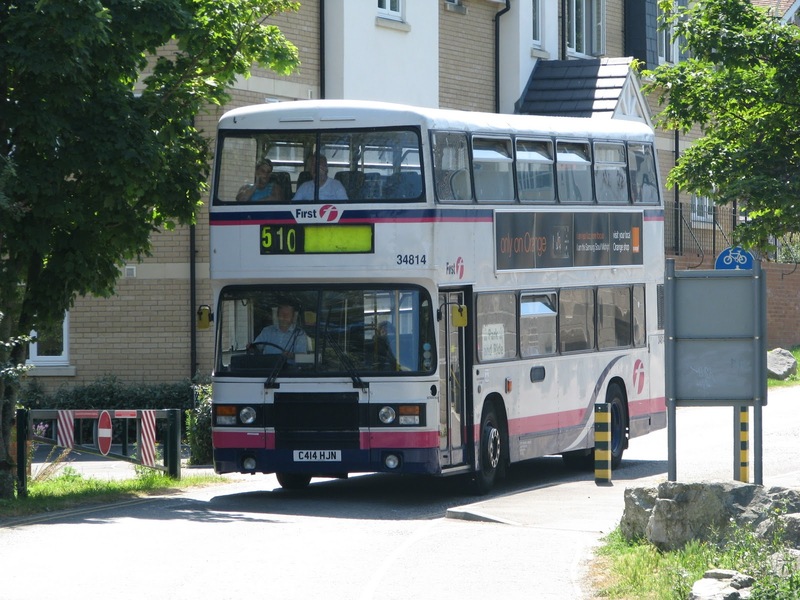 Leyland Olympians NTC 141Y and C414 HJN are seen here in Weymouth, in the summer of 2008, operating a Park and Ride service into the town centre. Weymouth only received dedicated Park and Ride vehicles last year when the Council took over operation from First Hampshire and Dorset. Its not everyday that you can find vehicles 25 and 22 years old respectively operating prime services like these! With many thanks to Ben Morroll, I can bring you this photo of close friend of ours. Under the new purple guise this is Ex-FGW 142068, my personal favorite of the Devonian Pacers while she operated from Exeter. She was one of the quartet used on the final day of Pacer operation before heading North where she is pictured, operating a service to Wigan. The Northern livery certainly suits these well with 068 looking very smart. I would presume the interior is untouched seeing as the condition was so good after the refurb FGW gave them a few years ago. A majority of Northern's Pacer's do retain their previous owner's interiors, so it makes it relatively easy to identify their previous lives. Note that the new ferry lift is stuck on at the front! Further to yesterdays post, today I have witnessed an un-expected twist to the tale! 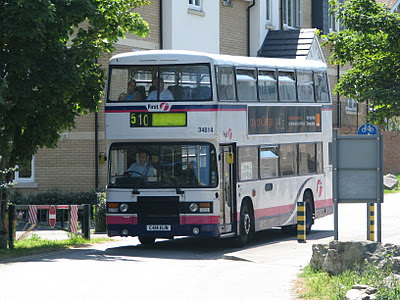 It seems as though this shall not be the end for the K-LAE Leylands, but in fact, P568 EFL has purely become the replacement for the ill-fated K804 ORL. 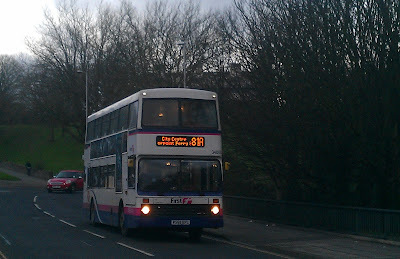 Depot manager Tony Body, pulled over to give me the news at 07:47 this morning that P568 EFL had become a ferry bus and was operating on the usual Dart MPD duty during the day. Sure enough just 42 minutes later, P568 EFL rounded the top of Devonport Hill to appear in my view, with a very excited looking Eddy Hockin at the helm! P568 is a welcome addition to the fleet, most certainly the best we could have hoped for while still being 'newer'. The P-EFL batch, which were new to Cambus in 1996 have always been favorites of mine so I very much look forward to travelling on her on a round of the 81C! 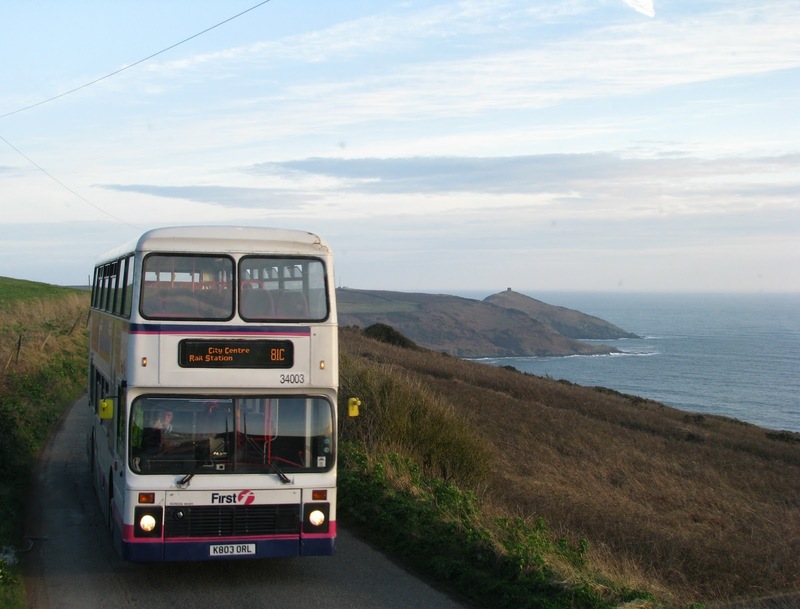 Although the coach seating will be missed, something Torpoint has enjoyed since 2005, I shan't complain thanks to the a decent engine powering her along. As to the Leylands, they're still out in force, with K614 LAE spotted operating the X80 this morning, usually in the hands of a Dennis Trident! 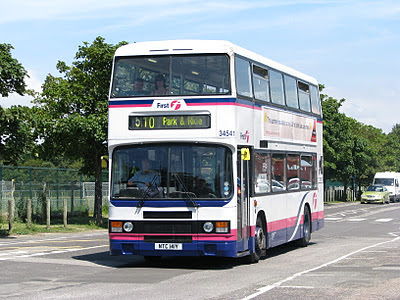 My first thought was it seemed strange to replace a more standard Volvo first, rather than less standard Leyland, but we all know how un-reliable K804 has been, and how reliable the Leylands continue to be in their 18th year of service. With thanks once again to the keen eye of Tom Pearce, I can bring you these great shots of recently transferred Volvo Olympian P568 EFL seen this evening in Bretonside having just come off a school run. The bus certainly stands out with the non standard Barbie 3 features added to the livery, which have been discussed before on the blog. These variations seem to change from vehicle to vehicle, but its not too bad at all on P568 compared to many which do completely ruin the livery. This can only mean though that we are beginning to approach the end for the final Leyland Olympians with First Devon and Cornwall. With Leylands in various forms being associated with Plymouth since the early 1900s, it will be a big leap when we see the final type disappear from the streets of Plymouth. The final surviving Leyland after these go will most likely be Plymouth Discovery Tours' Leyland Leopard. Well, due to me being in the exam period at the moment, I haven't been out spotting since last year (sorry, haven't finished with the "Last year" jokes yet!) so I shall have to be delving into the archives over the next few weeks. But to kick us off, here's a video of F600 GVO thrashing up North Hill, followed by some pondering along Paradise Road. You'll note this was the trip I mentioned a few weeks ago where I had the choice of 2 B10Ms all to myself! Make sure to turn your speakers up! 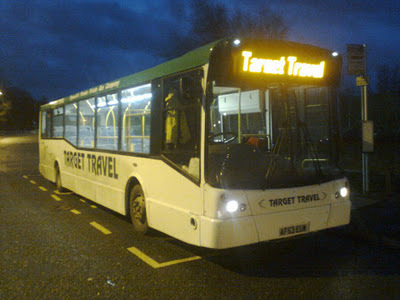 Further to my post at the end of last year Target Travel are continuing to invest in their fleet to bring it up to date ready for the low floor DDA regulations looming ever closer. Many of you will have already noticed the 4 Ex-Dublin Volvo Olympians that are now seen at work on the 46/47, but have also more recently been escaping onto the 14.